Russ' career has spanned nearly 25 years in online marketing and media. Russ began his career in Cape Town, South Africa where he built up and ran his own marketing business. Following this Russ re-located to the UK where he has since helped grow the commercial footprint of some of the world's largest online companies, including Time Out where he ran their Global e-Commerce business and Local ad business. Russ has held multiple senior Sales and Commercial roles including 10 years at Google helping to build and grow their vertical markets to nearly half a billion pounds. Prior to this Russ held the position of Head of Sales at Overture where he was responsible for building teams. Russ has extensive media, search, commercial and management experience. 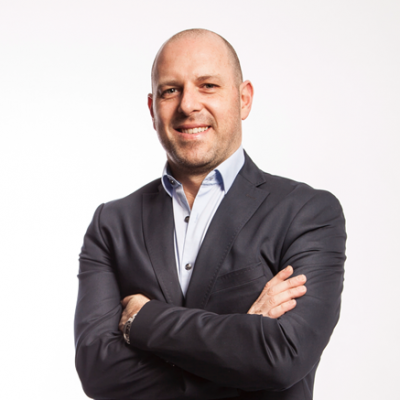 Russ is currently SVP Partnerships at Rokt where his focus is on EMEA and the Travel industry. Russ is based in London where he has a young family, dogs and loves playing Golf and Poker. Check out the incredible speaker line-up to see who will be joining Russ .